Central Vacuums & More is a locally owned company serving all of Eastern Tennessee. 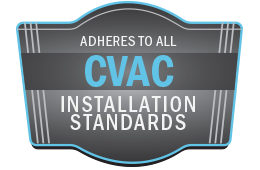 Founded in 1981 with the purpose of being the region’s premier central vac installer, we have now installed thousands of systems in small condos, mansions, light commercial projects, and many other types of buildings. Major builders such as BR2 Custom Homes, Weaver Custom Homes, and F.E. Trainer Custom Homes have entrusted the installation of central vacuums in their building projects to us. Each installation is custom designed around your needs and lifestyle. We make sure each cleaning need is well considered and install the system to minimize clogs by using all wide-sweeping turns and 45 degree ells whenever possible. Mike Sterling, the owner, still works on every job to ensure that his 30+ years of experience guides the process. We are the region’s MD Manufacturing Dealer for the Silent Master, Modern Day, and FloMaster central vacuum brands. We also specialize in the Hide-A-Hose system and welcome any questions regarding how installing a Hide-A-Hose system can benefit you. We are able to service all other makes and models of central vacuums. Have an older Vacuflo, Cyclovac, or Beam unit? We carry a variety of compatible hoses, attachments, inlets, power brushes and filters. We can even replace your entire power unit with a far quieter, more efficient unit! Please call us for a free estimate. You’ll have a cleaner home for decades to come. Why Central Vacuums & More? Central Vacuums & More, your one-stop source for all your central vacuum needs!